EPISODE 18 WITH JUAN MANUEL ROCHA! 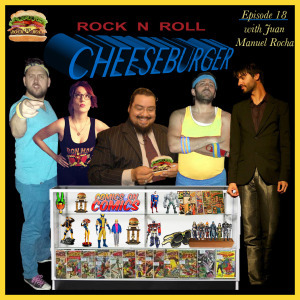 Rock N Roll Cheeseburger Ep 18 with Juan Manuel Rocha of Comics On Comics! 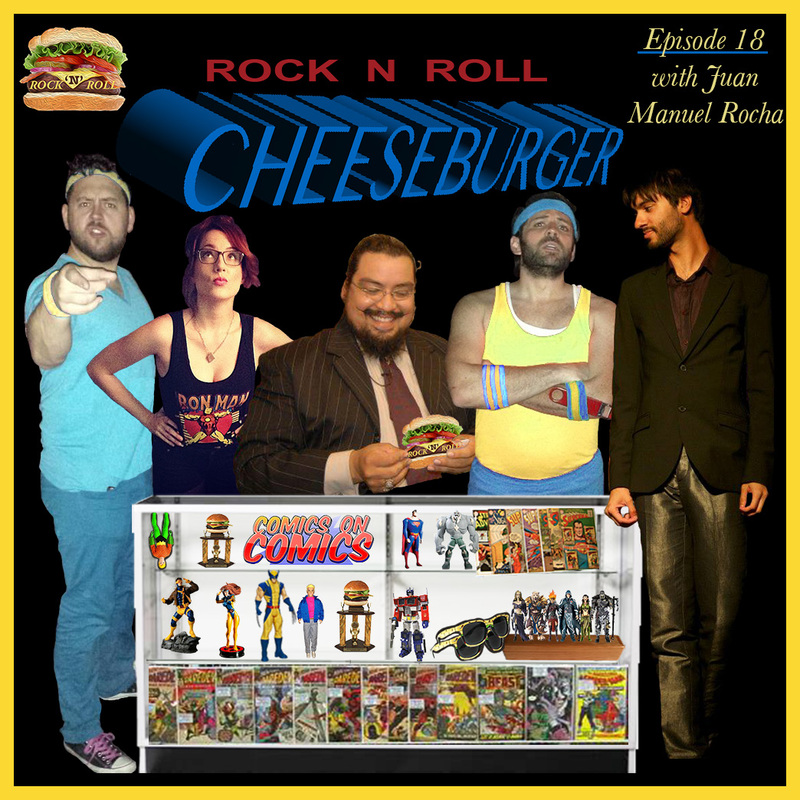 Rock N Roll Cheeseburger Episode 18! Juan Manuel Rocha, host of the Comics on Comics podcast and general nerd overlord, grills up the nerdgasms in the Burger Dome this week. We debate some pressing issues in society, including: Dynasty fans, the X-Files reboot, Music festivals, and Magic: The Gathering! We distribute some rock musack to your ear buttons, playing a brand new release from Rock Burger favorites Monolord with their jam “Cursing The One”, and also a rad live track from Fat Elvis called “Fire At Will”. Ep 18 is fake-sponsored by the kind & caring folks at the “Stríppumé” stripper résumé service. And we present an hilarious fan-fiction crossover sketch called “X-Men Interviews”! Just grab a burger, click play and thank us later.